Over 86 minutes and 18 tracks consisting of two completely different takes on each of nine tracks. Each take complements and enhances the alternative ~ what a novel idea for the record collection. 4. Bonus ! 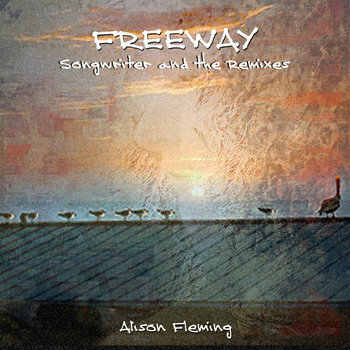 Freeway - Songwriter and the Remixes - CD Baby Download Card (while stocks last) - who doesn't like a freebie...here is a gift with love from me to you, to give to a friend or someone who's game for anything come singer songwriter and EDM tracks! Bundle is neatly secured, packaged and shipped in a built for the job 2-CD size secure and strong white cardstock box along with the allocated download card (with special CODE), compliment slip, and personal Thank You. If you'd like to leave your mark on this site, please submit your comments and I'm so happy to add you as a pioneer to the growing Reviews section. Thanks for your support. Ships worldwide! See Bandcamp for details. Thank you a million, guys!